The cost to buy a home is on the rise, but that doesn’t mean you can’t find affordable house prices in Austin. Our communities offer a range of floor plans to suit any family and any budget. Could one of these four options be the dream home that doesn’t break the bank? Austin has beautiful historic homes but all that maintenance may not be your style. If you’re searching for a brand-new home, The Enclave at Leander Station provides the coziness of older neighborhoods with the added benefit of updated floor plans and customizable builds. This growing community is conveniently located between 183 and 2243 with easy access to downtown Austin. Homes start in the low $200,000’s and range up to the $243,490s for 4-bedroom, 3-bathroom homes. If you’re a starter family or empty nesters looking for house prices in Austin that fall on the lower end of the spectrum, you’ll find everything you need in the Jackson floor plan. Starting at $214,490, this home will provide you 1,500 square feet of efficient space for all your needs. If you’re in the mood to splurge, you can add on a study or covered patio. And let’s not forget the quaint covered porch where you can sit back, relax, and enjoy the Hill Country! It’s not just the booming job market that draws homebuyers to Austin, it’s also the excellent schools. Austin is a great place to raise a family and Larkspur is a family-oriented community that pairs the natural beauty of Texas with modern luxuries. Residents can explore the walking trails and relax in open fields in the morning and enjoy the resort-style pool and clubhouse in the afternoon. The on-site elementary school turns neighbors into family and friends. Larkspur is Phase III just opened and house prices start in the low at $200,000’s. 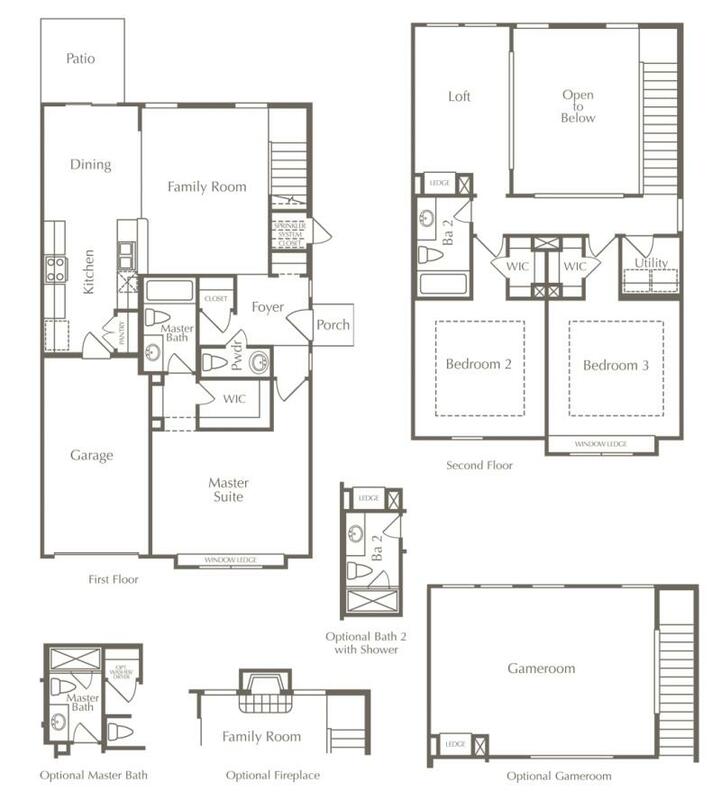 The Bedford floor plan is a great option for families. The layout of the home flows beautifully from a study and the front 2 bedrooms, past the large living room, and finally into the master bedroom. If your family may grow or you love to entertain guests, there are options for adding a fourth bedroom and a half bath. 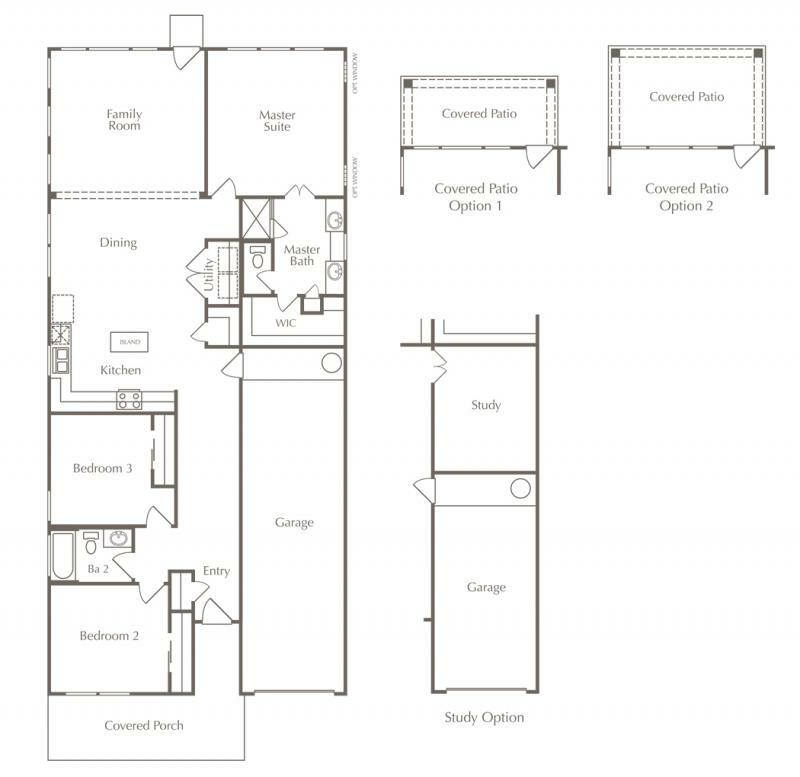 The 1,693 square-foot Bedford floor plan typically ranges in the mid to upper $200s. Real estate is all about location and for some homebuyers, the prospect of long commutes and weekends spent mowing the lawn doesn’t hold much appeal. For home buyers that prefer a want maintenance-free living in an up-and-coming neighborhood, Smithfield is your place to call home. This townhome community with starting prices in the mid $200,000s includes exterior yard and building maintenance with modern floor plans, ensuring residents can spend more time exploring Austin. 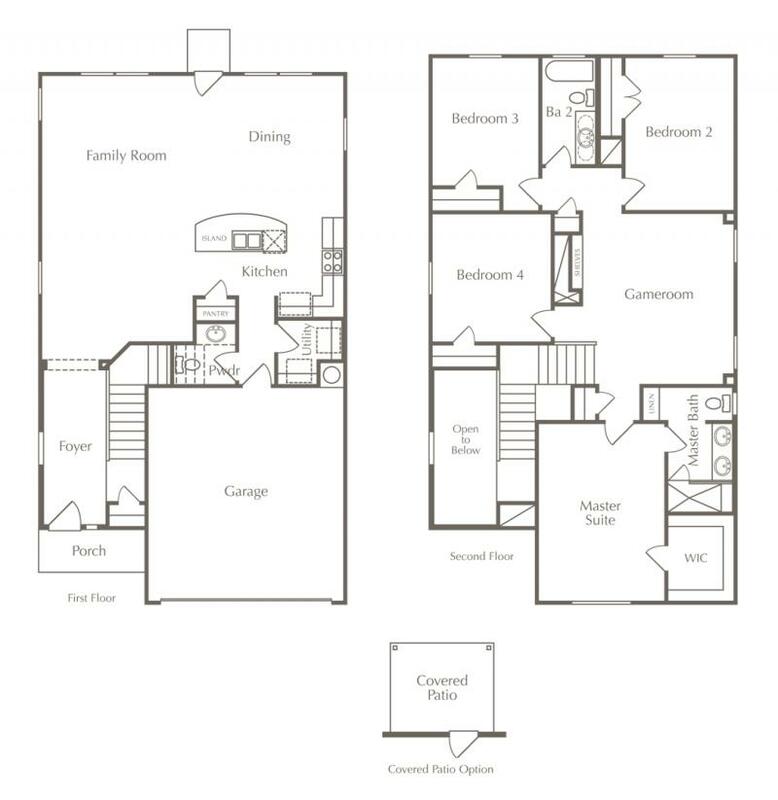 Now, you don’t have to be a fan of poetry to love this affordable floor plan. Smithfield’s Shakespeare option starts at $258,490 and includes 3 bedrooms and 2.5 bathrooms. You’ll be blown away that a low-maintenance townhome can offer room for a master bedroom, family room, foyer, a loft, and so much more! Always wanted a game room though? No problem. You can choose to upgrade your floor plan to include that and a fireplace. Working in the city may be a requirement for your career but, in Austin, living in the city isn’t. Buda is a quiet community just outside of Austin with affordable homes from the low $200,000s. The Meadows at Shadow Creek has an award-winning school district and a top-ranked health system nearby. Despite being a more rural community, there is plenty to keep you in Buda. Its historic downtown has restaurants, coffee bars, art galleries, and shopping. 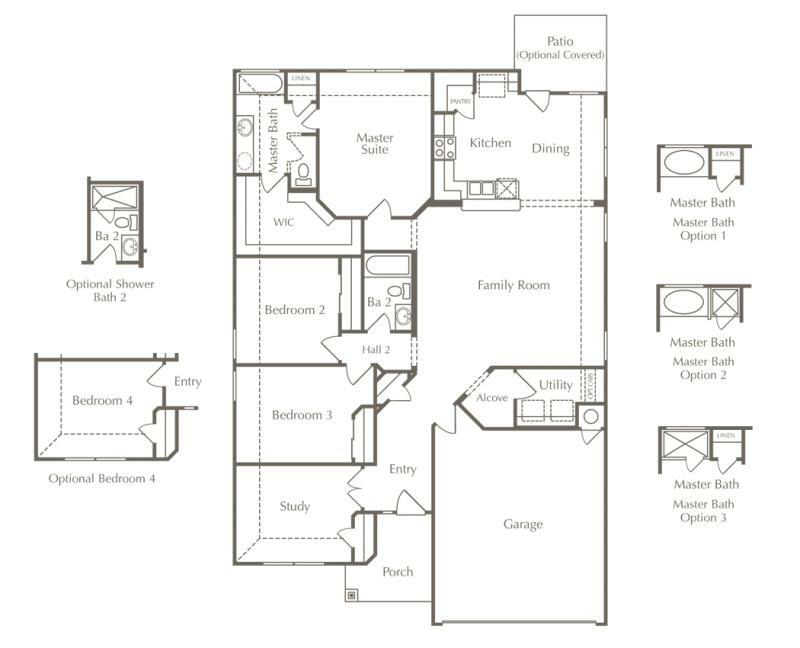 Starting at $210,990, the Harmony guarantees to fit your entire family in its 2,253 square-foot floor plan. This two-story home includes 4 bedrooms and a game room so everyone has space for rest and entertainment. Finally, everyone can come together in the open-concept layout of the kitchen, family, and dining rooms. The perfect home is not out of your reach! These four communities offer reasonable home prices in Austin, luxury accommodations, and convenient access to local attractions. To learn more about Austin’s most popular neighborhoods and to find the right home for you, contact Milestone Community Builders today.